Paddy Lee, you described this movie in an excellent way of not revealing too much, but just enough to indicate that it is well worth watching to a viewer that hasn't seen it. Fact is I'm going to repeat your excellent description: "Exciting action sequences, heartbreaking scenes of violence and psychological terror highlight the story of these people on the hunt. It is a clash of personalities, of philosophies and of cultures with unavoidable destruction and the possibility of rebirth." 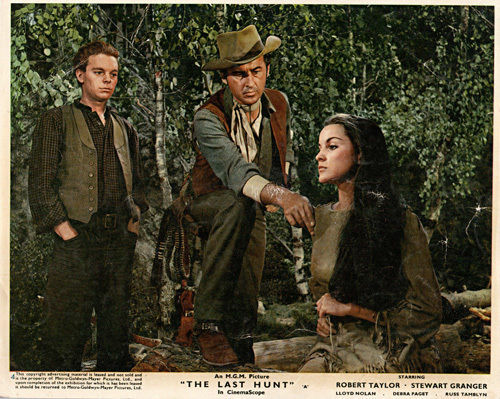 THE LAST HUNT just might well be the most realistic harsh Western to come out of the 1950's. It is stunning in more ways than one and is a grim, gritty, blunt, and shocking movie for 1956 movie audiences. It still was when I first saw it on television in the 1960's. I still can't think of a more harsh realistic Western that was released during the 1950's. That said, I recommend it highly. 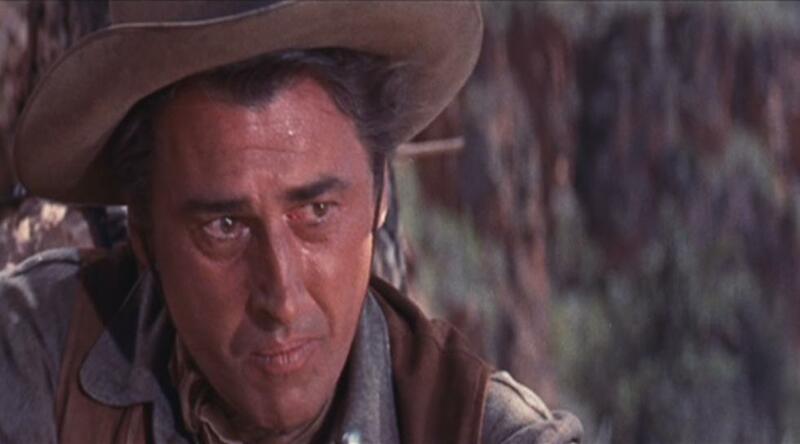 Stewart Granger had to be good in this movie to keep from being blown off the screen by Robert Taylor's performance as Charlie Gilson, who is most assuredly a "Pale Rider." Thank you, Walter. I hoped to convey the emotional impact without spoiling the movie experience for anyone new to The Last Hunt. I get more out of it with successive viewings; not often, but every once in a while I must return to it. Taylor is incredible as Charlie, yet Granger more than holds his own in bringing Sandy's inner turmoil to life. I'm going to need to watch North to Alaska soon. A bit of fun after the angst of The Last Hunt. Interesting you should relate Shirley's observation of Brooks and Jean Simmons. 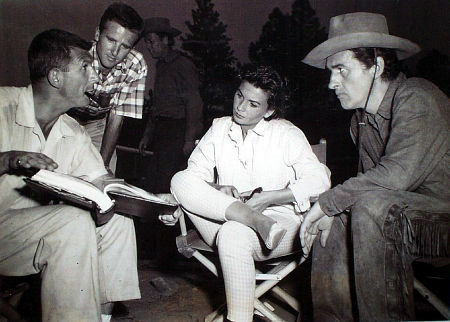 I recall when Stewart Granger was publicizing his own book an interviewer asked him about Brooks and I remember that he looked sad and said "I don't think he was right for Jean." At the time I thought perhaps the opinion was tinged with jealousy, but it seems there must be something to it. A real gem of the genre that never makes the greatest westerns lists out there but not to be overlooked. These two lead actors play well off each other. As good as Granger is it's Taylor that really surprises as the cold blooded hunter. Great ending! I also like that the two basically switched roles after playing together in All the Brothers Were Valiant with Taylor the good guy and Granger the unsavory character. Great pick! A TCM double bill of The Last Hunt and All the Brothers Were Valiant would make for an interesting evening's entertainment. It certainly might open some people's eyes to the talent of our leading actors. Thanks so much for stopping by. Richard Brooks is one of my favorite writer-directors of the 1950s and 1960s. I’m also a big Stewart Granger fan (e.g., love Scaramouche). So, this movie sounds right up my alley! Indeed. It was made for you. Brooks' westerns are fascinating and not for the faint of heart. 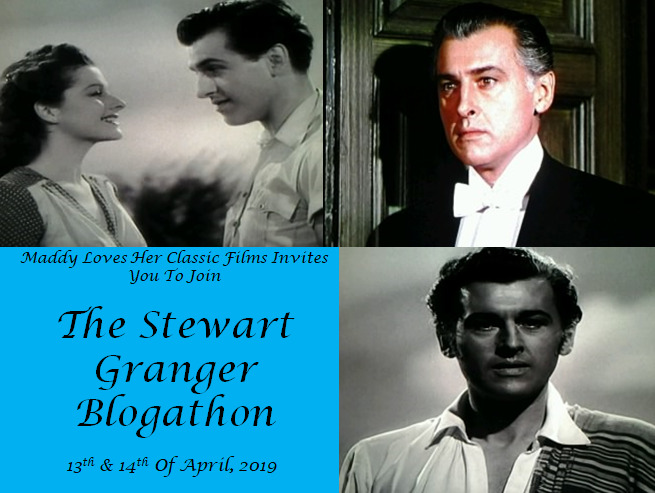 Thanks so much for joining me to celebrate Stewart Granger. My pleasure, Maddy. Thank you. The Last Hunt is one of the best and most interesting westerns of an era filled with them, but for some reason seems to have fallen between the cracks. JEAN SIMMONS (the ex-wife of STEWART GRANGER) was a very elegant woman. I remember Jean from quite a few things including a movie that is not very well known. SHE COULDNT SAY NO was a light-hearted movie about a woman who goes to a small town to help people because of the help that was given to her when she was a child. 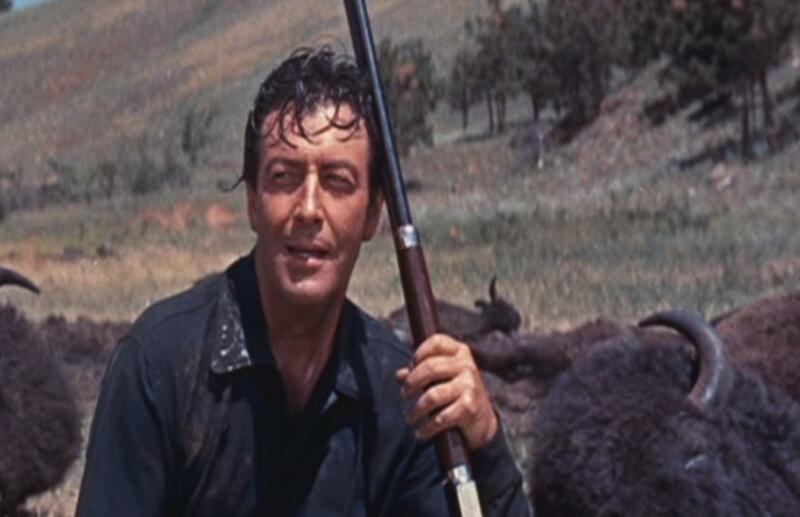 It co-starred ROBERT MITCHUM, one of the most rugged(and laid-back)actors of all time. I saw it on AMC in 1988. A review said MITCHUM was miscast as a small town doctor but I liked him in the role. It had ARTHUR HUNNICUTT as a guy named Odie and child actor JIMMY HUNT as a boy named DIGGER. It was a cute and enjoyable movie. I didn't find Mitchum miscast either. He was the sort of actor who could play any role. It is possible the reviewer only accepted one side of Mitchum. I saw Jean Simmons on stage in a tour of A Little Night Music in 1974. She was lovely. LLOYD NOLAN & RUSS TAMBLYN-they were both in the movie PEYTON PLACE(1957). Lloyd played DR. SWAIN and Russ played NORMAN PAGE. Russ was nominated for a OSCAR for his sensitive portrayal of the troubled Norman. Also nominated were ARTHUR KENNEDY as LUCAS CROSS, HOPE LANGE as SELENA CROSS, newcomer DIANE VARSI as ALLISON MCKENZIE & LANA TURNER as CONSTANCE MCKENZIE. Some others in the cast were LEE PHILIPS as the principal MICHAEL ROSSI, BARRY COE as RODNEY HARRINGTON, LEON AMES as LESLIE HARRINGTON & TERRY MOORE as BETTY ANDERSON. The movie was nominated for 9 Oscars but didn't win any. Lloyd Nolan later played another doctor on the TV series JULIA(which Ive never seen). Hope Lange, who I really enjoy her work, later had a long career in TV. The Peyton Place film is beautiful to look at, and I love the score by Franz Waxman. I had forgotten about that connection between Lloyd Nolan and Russ Tamblyn. Thanks. Julia was a charming sitcom and that was probably my introduction to Lloyd Nolan. Some part of me still thinks of him as Dr. Chegley. 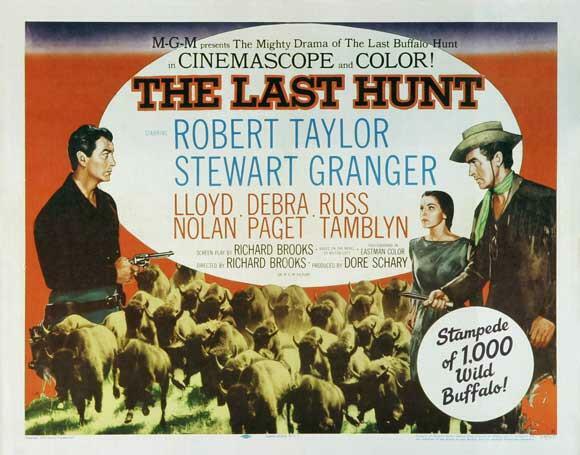 I haven't seen this film, but so many 1950s westerns are unknown or underrated today. And so many of the westerns produced during that time were complex and dark, with questioning of values and re-examination of US history. An interesting time for genre movies. The film also casts Granger and Taylor in atypical roles here. I don't associate Granger with westerns (though he did do a few of them, and I think once owned a cattle ranch), and Taylor almost always played the good guys (though he played another creepy psychopath in the noir film Undercurrent). I've always liked Granger, thought him a good actor, capable of stretching himself in his roles. The Last Hunt sounds like one worth catching. Thanks! My childhood introduction to Granger was in westerns, North to Alaska and the retooled season of The Virginian as The Men from Shiloh. The Last Hunt is certainly unique in his visits to the genre. 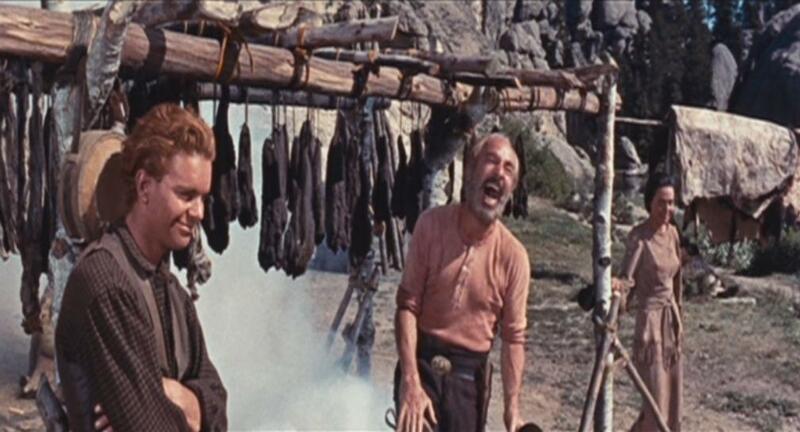 One of the reasons for my fondness for the western is its maleability. The western can reflect so much of the times in which it was made or the times in which it is set. Lloyd Nolan also did a MURDER, SHE WROTE that I remember very well. It was about a soap opera cast and other employees. Lloyd played an actor whose role was a doctor(that's familiar for him). It also had PAUL BURKE, ROBERT WALDEN, JESSICA WALTER, TRICIA ONEILL & LURENE TUTTLE. I read that Lurene played a nurse on JULIA where Lloyd played a doctor. Lloyd and Lurene had no scenes together on MSW. Lurene guest starred on many showa including THE ANDY GRIFFITH SHOW. The MSW episode aired less than a month after Mr. Nolans passing. He was a great and likable character actor. Lloyd Nolan was very moving in that role on Murder, She Wrote. Lurene Tuttle is a favourite actress of mine. I look forward to seeing her often. I agree with Walter, this is one of the best and harshest Westerns of the 50s and should be on the top 10 list. I like Granger in this but for me this is Taylor's movie. He's amazing as utterly dispicable Charlie. A must see. Charlie is such a disturbed and disturbing character that I find it frightening to watch Robert Taylor in the role. Granger's Sandy is a much more emotionally understandable character and I hoped to capture the depth of his sorrow with my screen cap. Once seen, The Last Hunt is not easy to forget. 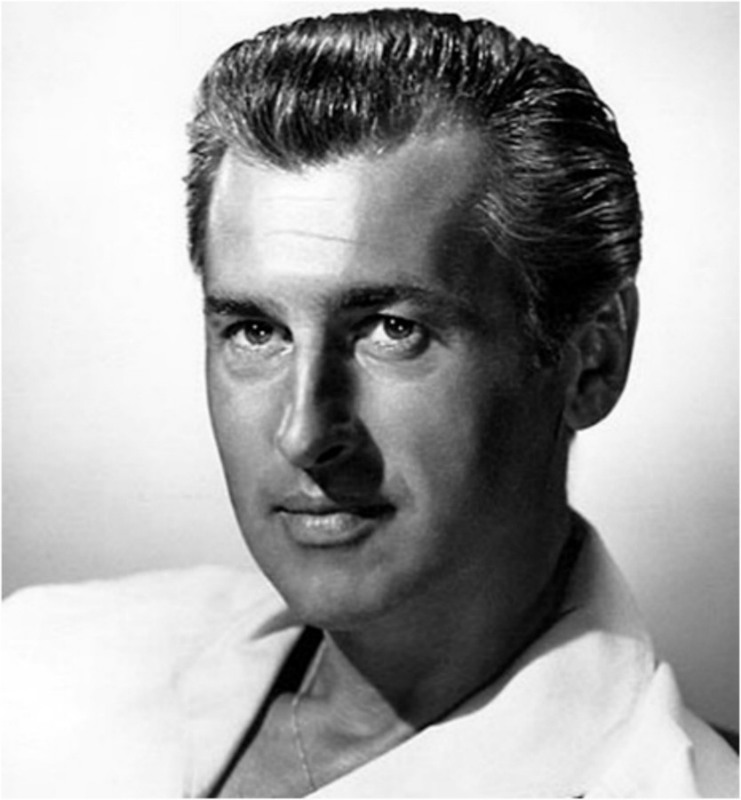 I saw STEWART GRANGER in a 2 hour LOVE BOAT with LANA TURNER. imdb has it as Lanas last role. I remember you said sometimes you watched Love Boat depending on who the guest star was, like ALICE FAYE. Did you see GINGER ROGERS on it? I didn't see that one. Some that I saw were LILLIAN GISH, BETTY WHITE, CAROL CHANNING, VERA MILES & FLORENCE HENDERSON. Do you know the work of Lillian and Lana? What about Florence? Thank you for the great blog! I remember Ethel Merman on The Love Boat, but to be honest, I don't recall that much of the series. I've seen a lot of Lillian Gish going back to her early career and the following decades. Lana Turner as well, is someone I have seen a lot. Vera Miles can do no wrong in my eyes. As you know, I have a special feeling for musical performers so I do like Florence Henderson, although even being a fan could not induce me to watch The Brady Bunch.